Black Bean Chilli Fries – super skinny fries generously heaped with onions, jalapenos and rich black bean chilli. You can add cheese if you like too, or leave it off for a vegan option. Much as we wanted to gobble these all up it’s such a generous portion we didn’t manage it! Paneer Monkey Fingers – the normal monkey fingers are made of chicken, but paneer is a great veggie alternative. Chunky strips of paneer are battered in a light batter and then soaked with slightly sticky and pretty hot pepper sauce, served with a blue cheese dip. These are spicy but so moreish, the perfect starter or side to any of the mains. 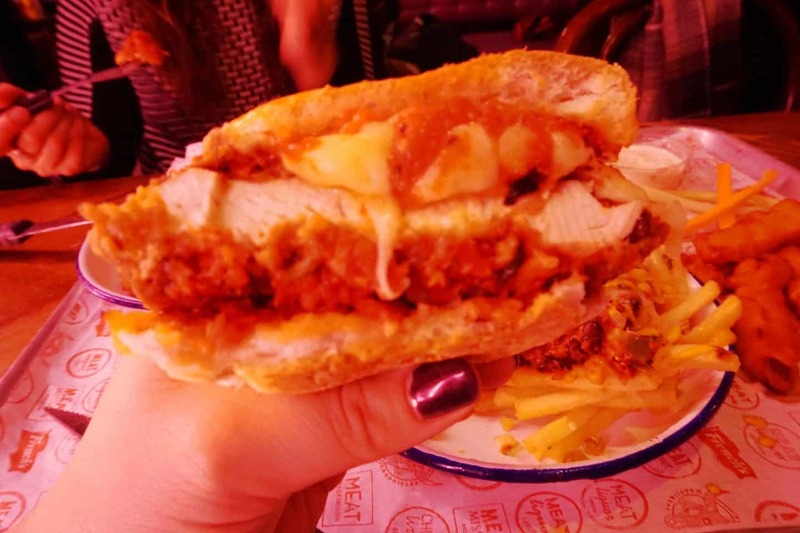 We also devoured a chicken burger; breaded chicken fillet with seranno ham, generous slices of mozzarella and marinara sauce. We just about managed to slice it in half to share it, and boy was it good, if pretty messy to eat! Finally we ordered the Deep fried Mac ‘n Cheese, which we probably could have done without but it given that everything came in such generous portions but I couldn’t resist. A bowl arrived of little bite sized rectangles of crispy on the outside, gooey on the inside. 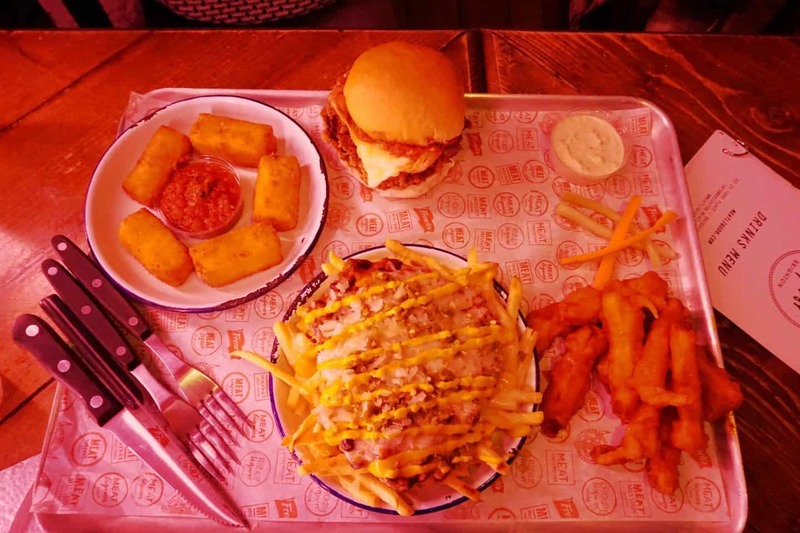 We pondered how they retained their shape so well in the fryer, but they’re just awesome however they’re made and a great side order for any main, and they’re vegetarian. 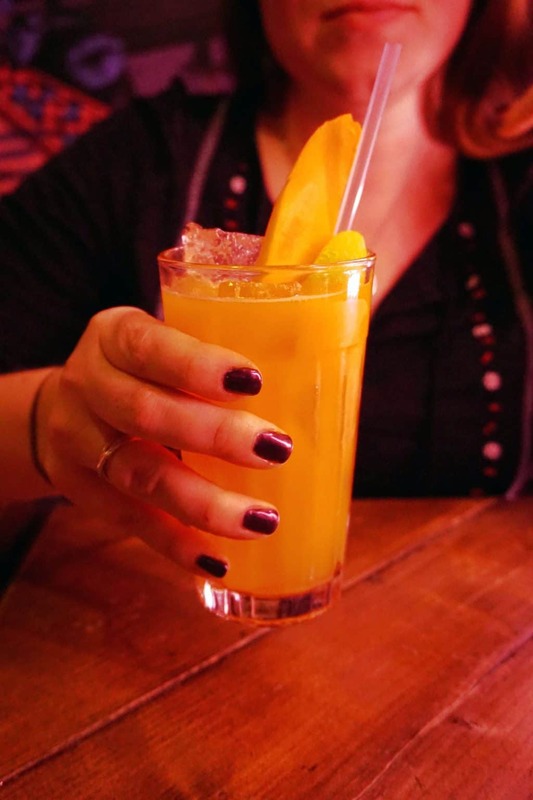 As well as a new starter selection MEATliquor have put together an eclectic ‘Dry-ish’ drinks menu too, with all cocktails being fairly healthy and available with or without a spirit. Annoyingly Southern Rail had failed me and cancelled all trains so I’d driven so couldn’t partake in a proper cocktail, but Lynne could, thankfully! 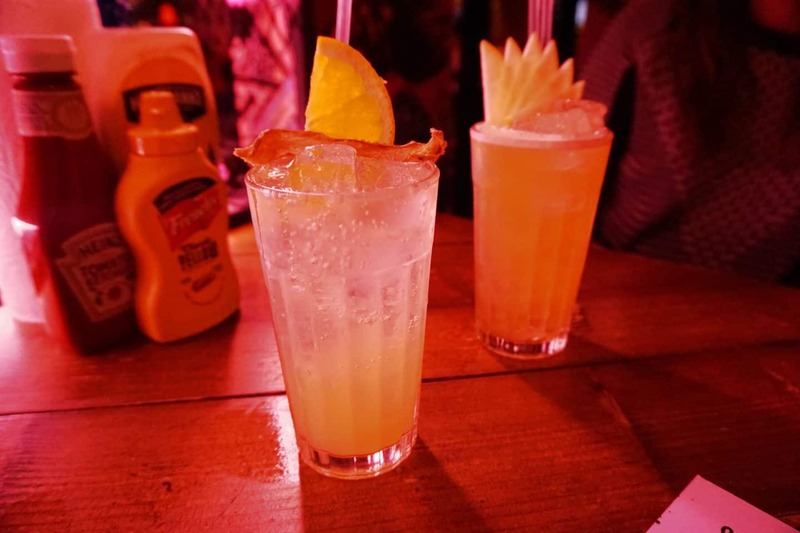 I had a ‘Paddington Jack’ which was a tangy mixture of orange marmalade, fresh lemon juice, raw ginger & soda and would have had a shot of JD if you wanted a non dry version! Lynne tried both the ‘Bluto’ which was basically a green smoothie (spinach, fresh lemon juice, cane sugar, apple with Zubrowka) and a ‘Carrot Top’ (fresh carrot & lemon juice, turmeric, apple, and bombay sapphire) and I did have a cheeky sip of both of them; they had a kick but tasted divine. 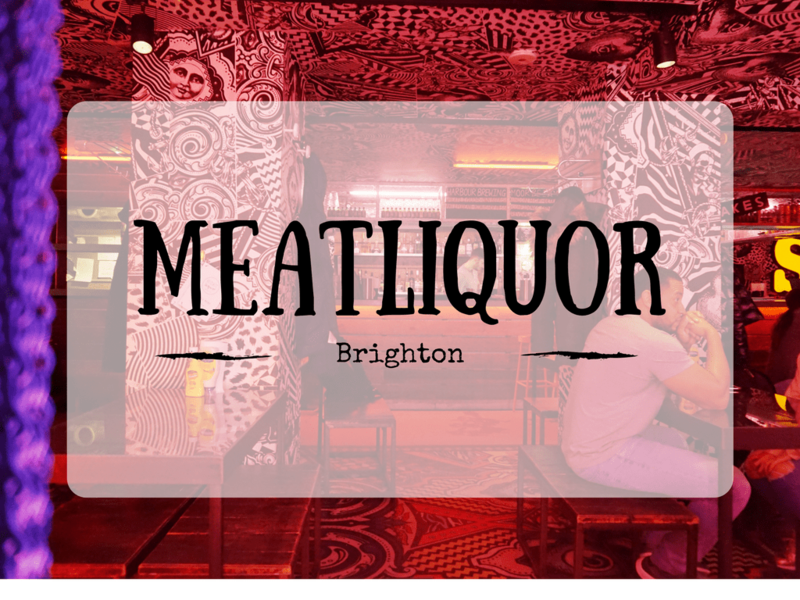 MEATliquor is opposite St Peters Church on London road, about a five minute walk from the train station. 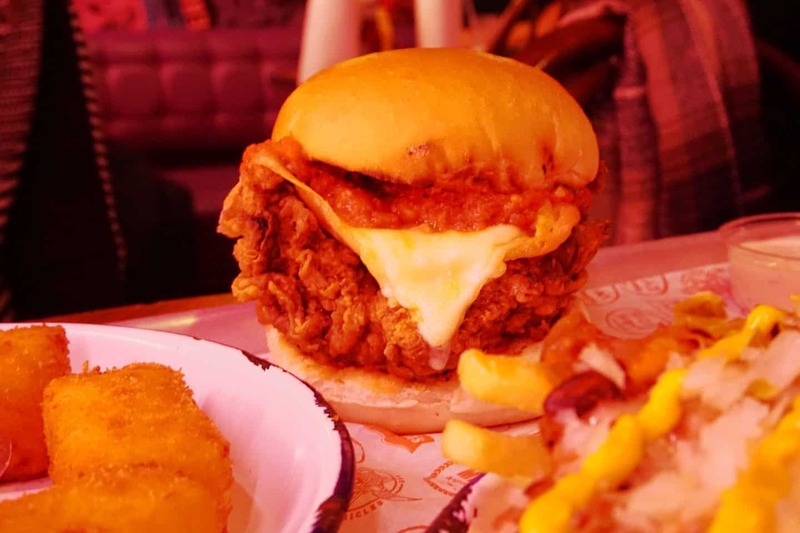 Open from midday till late, kids are welcome to 7pm. Call them to make a booking on 01273 917710, or if you’re local you can use the ever expanding swarm of deliveroo drivers to have it brought to your door! 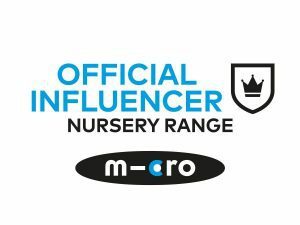 Follow on twitter to keep up to date with news & offers. 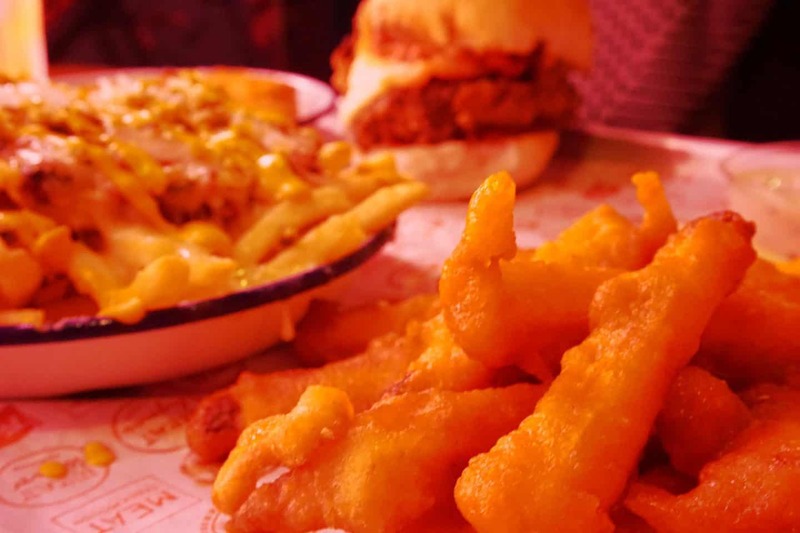 Big thanks to MEATliquor for inviting us along to try out the new specials menu.